I have a had rather a stressful week and thought I needed to do something to help relax other then watching the TV I just hadn't the energy to go up stairs and start going through my stash. I always find paper scrapping hard at night when I come home from work. I love it at weekends when I have time to spread out my stuff and know I have a full day to play. So I did my other favorite scrapping... Digital I really enjoy digi scrapping its great knowing you can never run out of your favourite paper and all those embellishments that cant disappear off your desk and lay hidden in the carpet till you don't need them, at which point they seem to always end up stuck in your foot. 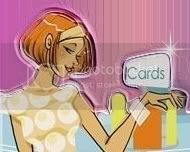 all my digi stash is free downloads mainly from Shabby Princess. 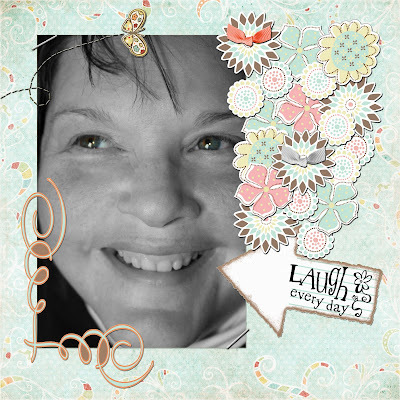 Most off the stash on this layout is from the PROMISE collection which is Shabby Princesses newest free download. The Photo is the same one I have used as my blog profile pic, its one that my friend took using my new digi SLR camera and one of the very few pics of me I really like. Glad to see you like the pic I took of you and also that it's taken you away from the TV! Get chance to watch my own programmes now...ooopps too late you got the remote! oh by the way the digi layout was very good! Fab LO. The photo is lovely.